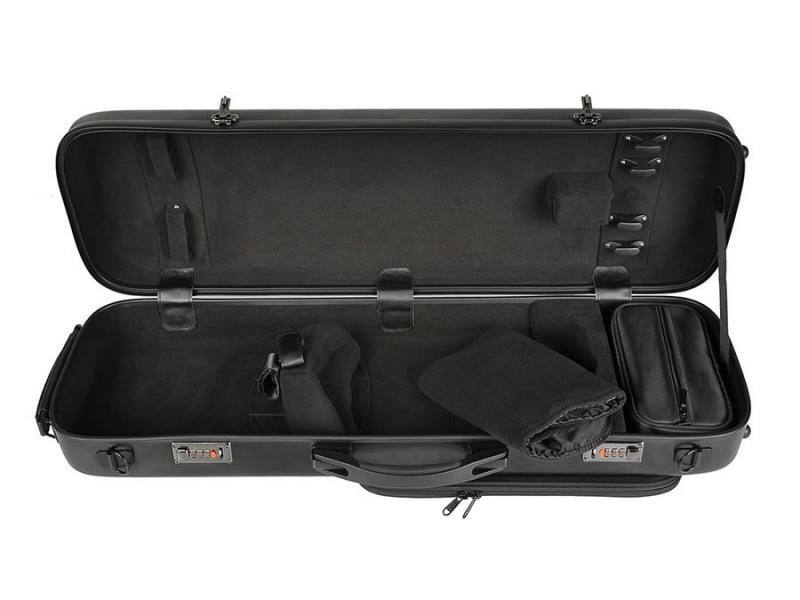 violin case, 4/4, PVC sandwich construction, 2 padded comfort straps, brushed black, 2,2kg The VC-50 is a sturdy violin case with a compact design that provides good insulation against temperature differences and humidity. 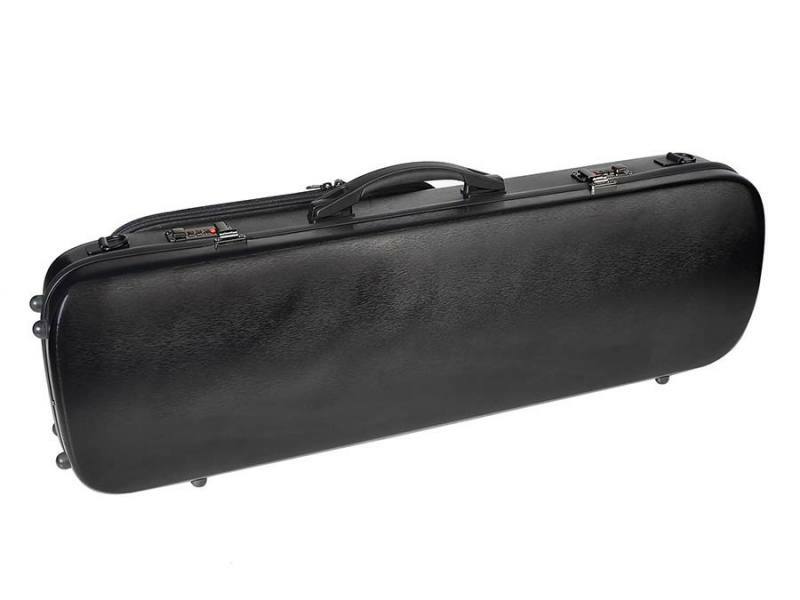 The case is suitable for violins of sizes 1/2 to 4/4. 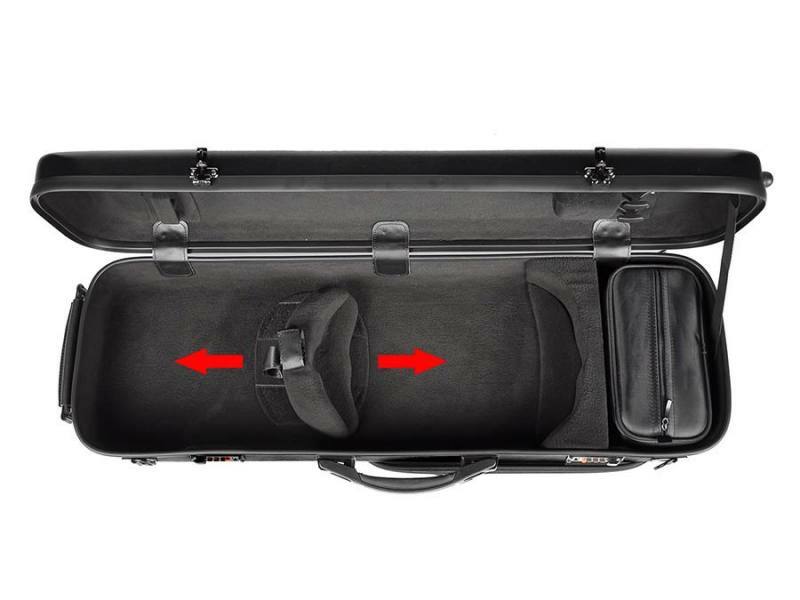 It is equipped with no less than 4 bowholders and has a removable accessory bag, which is very useful when the suitcase is left behind in the dressing room. 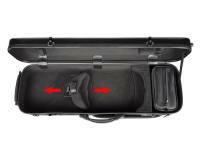 The VC-50 comes with a protective cloth to put on the violin for extra protection. 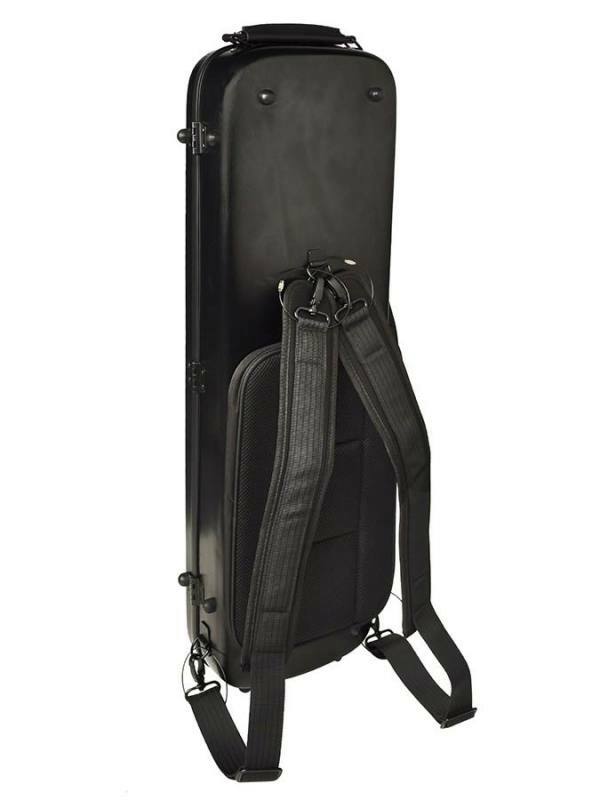 On top of all that, the VC-50 has an external pocket for sheet music, numerical locks and comfortable straps (VC-STRAP), a spring handle and a so-called subway handle for the standing position. The VC-50 is available in brushed silver, brushed black and night blue.